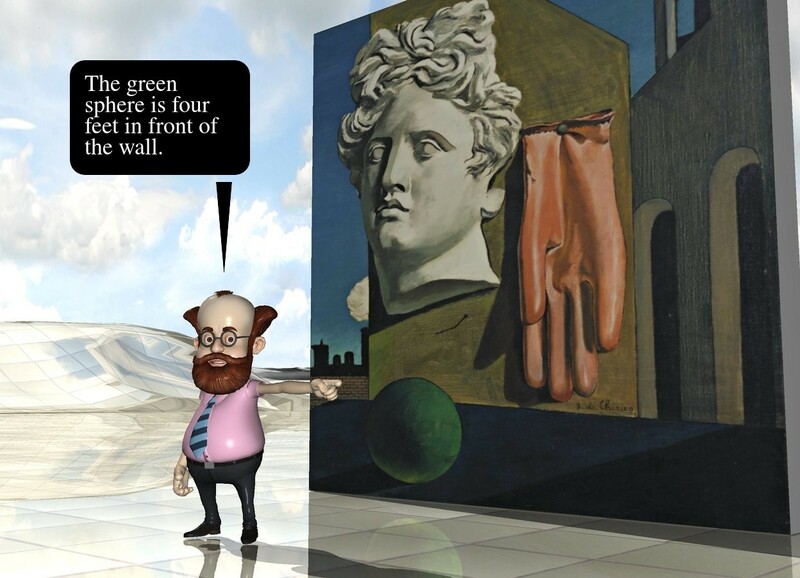 Input text: the small man is 4 feet in front of the [dechirico] wall. the wall is 8 feet wide. the [tile] texture is on the shiny ground. the texture is 10 feet tall. well, he was like, "la sfera verde Ã¨ quattro piedi di fronte al muro." oops, that didn't handle the accent on the "e" very well. The issues with accents and other non-ascii characters are a known problem that still need to be addressed. @KAWE and @zamchick, I think the unicode problem (accents etc) should be fixed for any new text entered onto the site.